RIGHT CLICK TO OPEN VIDEO IN NEW WINDOW! Staff Management|SMX and Phillips-Medisize are world leaders in their respective industries and have teamed up to offer you fantastic opportunities. We are experiencing unparalleled growth and are hiring great people like you to fill the needs at Phillips-Medisize to supply their local, national and international customers with the highest quality injection molded parts in the world. Your next career starts here at Staff Management|SMX at Phillips Medisize. 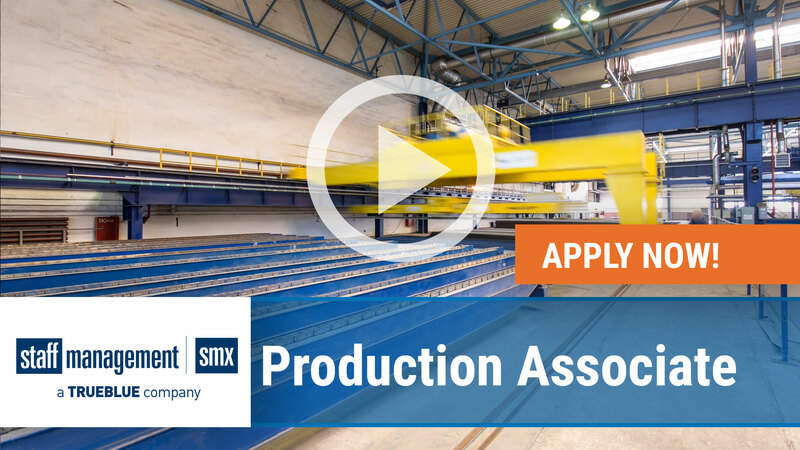 Positions involve a variety of production, inspection, packaging and press operation duties. Prior experience is a beneficial, but not required. We will train you to become knowledgeable and successful in an injection molding environment. This is a fast paced job that requires a strong commitment to quality and attention to detail. We are offering full time schedules with benefits. We are the gateway to full time employment with Phillips-Medisize where your opportunities are yours to take on.